At arrival you will met our representative. He will assist and transfer you to the Deluxe Houseboat for 02 nights stay. After noon tour to famous Nishat garden also Known as �Garden of Pleasure� built in 16th Century (1633) by the Mughal Emperor Asif Khan then visit to the second wonderful garden known as Shalimar Garden also Known as Garden of love built in 16th Century (1619) by the Mughal Emperor Shahjehan the gardens are situated on the banks of the Dal Lake with the Zabarvan hills in the background. 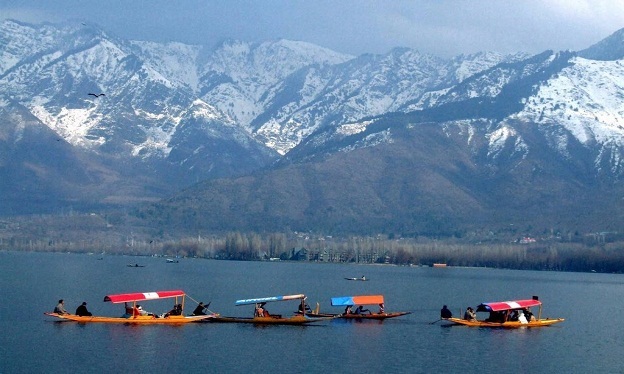 Later you will take a shikara ride on Dal Lake, where you visit the floating vegetable gardens. While riding the Shikara�s there are plenty of opportunities for bird watching with plentiful species including Kingfisher, Little Bittern, Common Pariah Kites, Grebe etc. Overnight stay at Houseboat in Srinagar. After breakfast leave for full day trip to Gulmarg. Gulmarg (8700 ft i.e. 2652 mts), known as 'Meadow of flowers�. 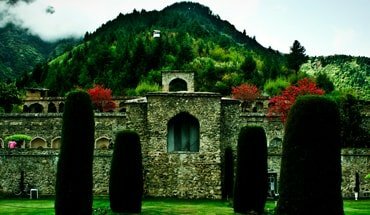 Discovered by the Kashmiri romantic poet in the 16th century who was inspired with its grassy slopes covered with wild flowers. It is one of the India's premier Hill resorts. Gulmarg today is not merely a mountain resort of exceptional beauty - It also turns into India's premier Ski resort in winter. The Gondola Cable Car offers rides to the upland meadows of Kongdori and beyond to the top of Apharwat range to a height of 14000 ft for viewing the Himalayan Peaks in summer and for downhill skiing in winter. Overnight stay at Houseboat in Srinagar. After breakfast leave full day tour towards Pahalgam. Pahalgam (The Valley of Shepherds) is one of the beautiful and fascinating ideal resorts all the year. It is the base for several treks in the region & for the Annual Pilgrimages to the cave shrine of Amarnath; It is surrounded by 12 high snow capped peaks. Enroute, Visit the Saffron Fields of Pampore, Awantipura Ruins (1100 years old Temple of Lord Vishnu built by the King Awantivarman) & enjoy the beautiful countryside life. After Lunch visit the places in pahalgam by Pony ride (at own cost) Debayan, Shikargah & Baisaran. Overnight stay at Houseboat in Srinagar. After breakfast you are transferred to the Srinagar airport to board your flight for onwards journey with the sweet memories of Holidays.